Michael Phillips is the Senior Pastor of Kingdom Life Church, a non-denominational congregation in Baltimore, Maryland. Beginning with just eighty members, Pastor Phillips has grown the congregation to over three thousand congregants and mobilized a movement that has over 50 outreaches to the greater Baltimore community. 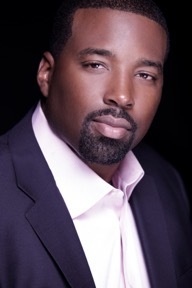 Pastor Phillips serves as founder and chairmen of Better Life Community Development Corporation, which is dedicated to revitalizing urban decay in West Baltimore through various housing projects, small business developments, workforce programs and education ingenuities. Pastor Phillips is actively involved in educational initiatives for Maryland schools. He currently serves on the Maryland State Board of Education, Board chair of 50CAN, the board of Green Street Academy and is the chair and co-founder of Faith Leaders for Excellent Schools. Pastor Phillips studied Business Administration at Oral Roberts University. He holds a Master of Sacred Theology and is currently pursuing a Masters of Divinity from New York Theological Seminary.